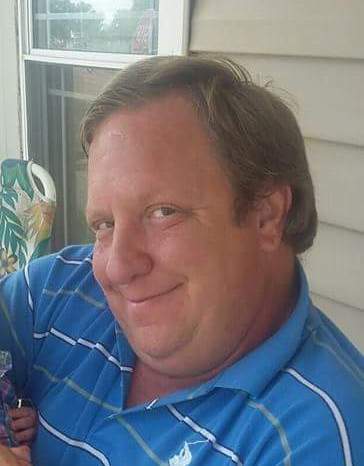 Ray Brock, 46, of Ware Shoals, husband of Abbegale Craven Brock, gained his heavenly wings on Friday, October 13, 2017 at his residence surrounded by his loving family. He was born in Greenwood to the late Sammie Brock and Kathy Davenport Garrett. Ray was a 1989 graduate of Ware Shoals High School and attended Piedmont Technical College. He was a construction worker and served with the Western Laurens Fire and Rescue Department. Ray was a member of Reedy Grove Pentecostal Holiness church and attended Ware Shoals Church of God of Prophecy. In addition to his parents, he was preceded in death by two children, Charity Grace Brock and Baby Ray Brock. Ray is survived by his wife of the home; children, Connor Brock, Kenlee Willard, Andi Sluder, Olivia Sluder, all of Ware Shoals, Billy Cates of Easley, Danielle Brock of Columbia, Kayla Lollis of Honea Path, and Emma Brock of Gray Court; three grandchildren, Zoey Willard, Noah Cates and Ayla Lollis; brothers and sisters, Troy Brock of Nebraska, Travis Garrett of Columbia, April Garrett of Illinois and Jeannie Brock of Honea Path; a very special step-father, Buddy W. Garrett of Ware Shoals; and mother and father-in-law, Cindy and James Hill of Waterloo. A Service to Celebrate Ray’s Life will be 2:00PM, Saturday, October 21, 2017, at Harris Funeral Home Chapel, 302 N. Main Street, Abbeville, SC 29620 with Rev. Chris Hudson officiating. The family will receive friends following the service in the funeral home chapel. Memorial contributions, in memory of Ray, may be sent to the American Cancer Society, PO Box 1741, Greenwood, SC 29648. Harris Funeral Home and Cremation Services of Abbeville is assisting the Brock family.